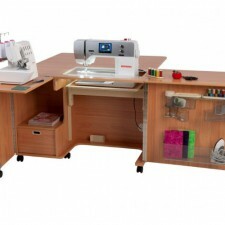 Sewing and quilting to a professional standard. Thanks to numerous innovations, the Bernina 570 QE’s extensive stitch package can be perfectly adapted to your sewing project. Stitch length and width can be altered almost effortlessly via the easy-to-use full color display of the Bernina 570 QE or multi-function knobs. 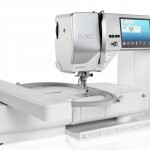 Easy access to all stitches via the unique Bernina GUI makes for quick work and offers maximum convenience and ease when sewing or quilting. The Bernina 570QE comes standard with the Patented Bernina Stitch Regulator which makes free-motion quilting and sewing a breeze. 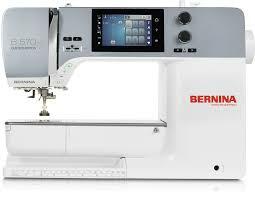 Plus the Bernina57QEhas the option of adding the Bernina Embroidery module allowing for you to take your creativity to new heights. 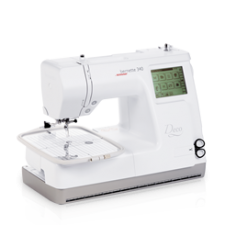 Our Bernina 570QE is the true workhorse of the Bernina line giving you the freedom to sew to your wildest dreams. Our cutting-edge machines are equipped with numerous innovative functions and programs. 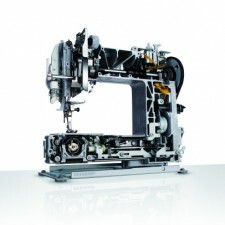 Click the button below to find out more about what the Bernina 570 QE is capable of, as well as a list of its advantages.